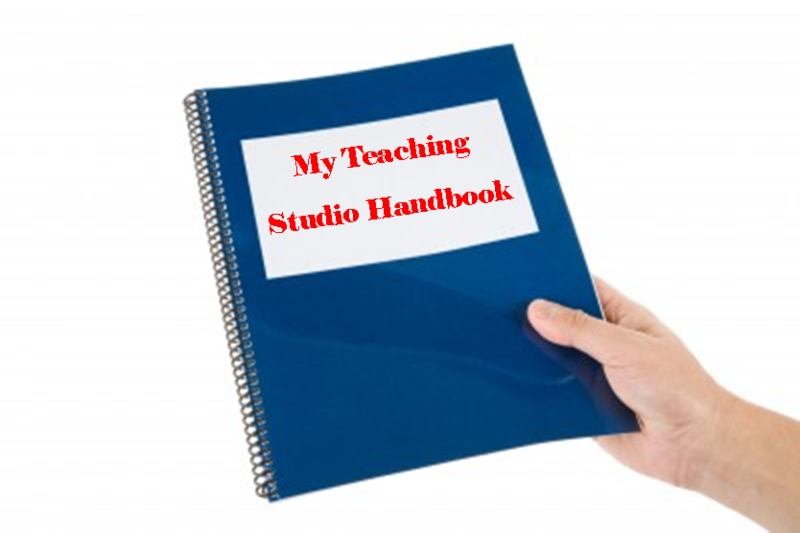 The Studio Handbook is your syllabus and if you don’t have one already, you need one! On the first day of any class in college, you received a syllabus. You remember that, don’t you? It was that document that gave you all the information you needed (or was supposed to) to be successful in that class. Most of the time, you didn’t look at it until the end of the semester when you are trying to figure out how you can pass a class that you didn’t do so well in. Well, that syllabus served a very important purpose. It laid out clearly what you teacher’s expectations of you were and what you could expect from the teacher. If you haven’t created a a syllabus for your teaching studio, it’s about time you do. Here are some tips for creating a music teaching studio handbook. List your fees and include any extra fees that may be incurred (recital fees, exam fees, travel fees if you are going to their home, etc.). Make it clear how you preferred to be paid. Do you accept checks or credit cards? Do you want them to pay at the end of every lesson or do you prefer that they pay monthly or quarterly? It is very important that you make this clear in the first lesson and follow through with this policy. Do you need 24 hours notice? If 24 hours notice is not given, do you charge them for the lesson? If not 24 hours, what is an acceptable amount of notice and how do you prefer to be contacted? What happens if you have to cancel a lesson and you aren’t able to give 24 hours notice? Do you give them a free lesson or a discounted lesson? If they pay in advance and they miss a lesson without the proper notice, do you give them a makeup lesson? If you haven’t thought seriously about these questions, think about them now. When a student cancels, you are losing money. Making up a lesson is an additional pull on your time and you may not feel you are obligated to give makeups. Think about these issues long and hard and state them clearly in your handbook. 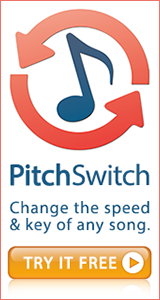 If you work out of a particular method book that they need to purchase, list it and all other supplemental materials that they will need to purchase as well as suggestions as to where they can find them (the local music store, Amazon.com, etc.). If all of your students are working on repertoire from a variety of sources, make it clear to them that they will be required to purchase their own music or if you purchase it for them and they reimburse you, state that. You want to make sure your students know upfront that there are extra charges they will be responsible for other than their lesson fees. Do you require them to bring a notebook, a journal, a pencil, extra reeds, mallets, the list could go on. Whatever you expect them to bring to their lessons or have at home for their practice time, make sure you list in this section. Chances are you don’t administer grades in your studio but it is good to make clear how you will assess (and how they should be able to assess) their progress. Preparation is important as is final performances in studio recitals or masterclasses. Having their assignments completed in a timely manner and showing progress in technical issues from week to week are also important. Of course you will also tell your student that everyone’s progress is different but what is important is that the progress is shown to go consistently upward. If you expect your students to practice a certain amount each day or each week, make that clear. But even more important, give them guidelines on HOW to practice. You don’t have to write a dissertation here but it’s important they understand that practice is not just about playing through their pieces several times. Make clear how you expect them to warm-up, do their technical exercises, isolate difficult passages, start to learn new pieces, etc. And you can also include something about how they can prepare their music and write in their scores most efficiently (and neatly!). Let’s face it….practicing is 90% of their work and they need guidance on how to do it effectively. You can make this handbook your tome if you like (although I wouldn’t suggest it because most likely they won’t read all of it!) but there are a few other things that you could include. One last thing: Print It! I know that there are very important reasons for digitalizing everything – saving the environment is a big one! But while you should have a copy of your handbook on your website, I think it is really important that you hand a paper copy to every new student and make sure that they either bring it to every lesson or keep it near the space that they practice. You want them to see it, hold it and reference it as it serves as their contract with you. If you just put it online, chances are they will never open it and read it. What else do you have in your teaching manual? Let us know in the comments below! 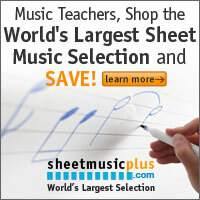 Tagged business plan, private music teacher, studio business, teacher tools. Bookmark the permalink. Hy, it’s really nice. It helps alot . Thanks for sharing. Thank you very much for this terrific Web site. I found it just at the right time! I have a question about the studio handbook…do you give each new student a copy? Or do you just go over together in the beginning? Do you periodically review it with them? And, if you do print it and distribute it how do you keep the cost reasonable? Thank you again. I’m sure you’ve helped so many teachers and students!